In today's jazz show, Brian had live music in the performance studio featuring The Beholder. 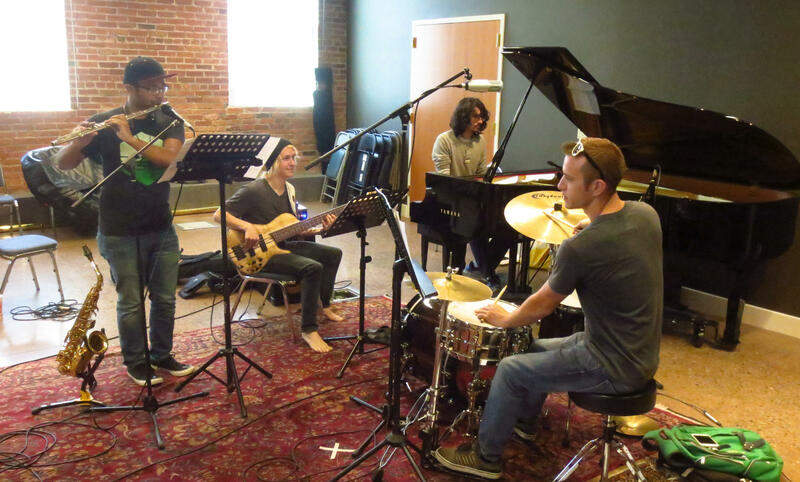 Members include Riley Gray (pianist), Kenny Sager (drums), Chris Shepherd (saxophone and flute), and Ash Madison (bass). The Beholder will be playing at The Bartlett (228 W. Sprague in downtown Spokane) on September 18 from 7:00-9:30pm. Imagine Collective will open the show starting at 6:00pm. The Beholder will be playing a collection of modern jazz tunes.